My task over the next week is to write a story for Life on Lantau about our congested and erratically available public transport services. On a cold weekday in December it took me an hour to board a bus to Tung Chung, and even literally had to squeeze aboard. I’ve had a lot of helpful comments on a Facebook thread I started, and there’s also this Facebook page launched by a Mui Wo resident furious after the taxi company was unable to provide a single taxi for his wedding party of 20, even after a week of calling. The biggest number of comments related to taxis, followed by buses, with just a few relating to the ferries. For that reason, I will concentrate on taxis and buses in the story. A number of people raised safety issues, which is a huge topic in itself and deserves dedicated treatment. One theme the story will pursue is how a community deals with these problems. In this Oriental Daily story in October, the taxi company doesn’t seem to think there is a problem at all, claiming the congestion is only a problem in holiday periods. But while there is an online form to complain about individual taxi drivers, there is no channel that takes complaints about taxi services. The taxi service is broke; how do we fix it? By contrast, the bus company is required under its licence to engage with passenger liaison groups. As far as I know there isn’t one in the Chinese community. Does anyone want to form one on Lantau? Further background: New Lantau Bus operates under a ten-year licence issued in 2007, which stipulated that it had to deploy a fleet of 86 buses. According to parent company Kwoon Chung, by December 2012 it had 108 licenced buses on the road. That’s a 25% rise over the minimum required, a strong indicator of increased passenger load you’d think. Below are the questions I’ve sent to the Transport Dept and am about to send to the taxi company (I haven’t worked up the bus company queries yet). Neither organization enjoys a reputation for disclosure, so I doubt useful answers will be forthcoming. This is an exercise in getting them on the record and starting a dialogue. With housing prices rising elsewhere in Hong Kong, including Discovery Bay, more and more people are moving to South Lantau. Additionally, the number of visitors to the island’s tourist attractions is also growing steadily. There is a belief among residents that the area’s public transport services – buses, taxis and ferries – are overloaded and increasingly fall short of community requirements. At the same time, road safety is also an issue, as seen in the cattle deaths last year and the death of a motorcyclist. 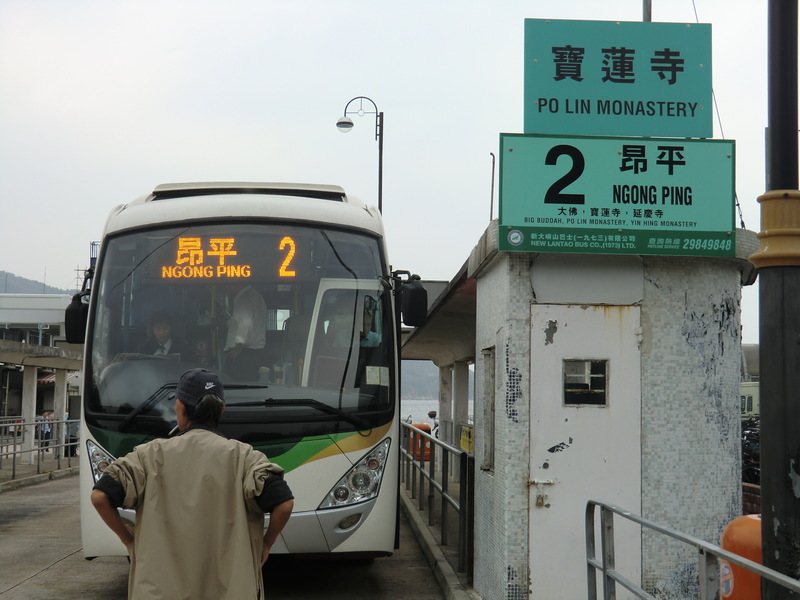 – First, do you have statistics on bus (i,e New Lantao Bus routes 1,2, 11,4,23, 3M) and ferry (NWFF Mui Wo-Central) passenger numbers for the past five-six years, eg, 2008-2013? – Does the TD have a view on Lantau’s transport situation and its current and future needs? Does it believe they are meeting local needs? – At the same time, the island’s limited road infrastructure is becoming more crowded and dangerous (a man was jailed last week for careless driving over the motorcyclist death). How can the Department balance the need for road safety with the growing traffic flow? – Lantau development is increasingly the focus of government attention. A housing project that may increase Mui Wo’s population by up to 40% is now being planned. Is there a medium- to long-term Lantau public transport plan? – What steps are being taken to issue more Lantau taxi permits? – How can we ensure that as many taxis as possible are on duty, in particular at peak times? – Many Lantau taxis are discouraged from servicing S.Lantau because they find it more profitable to to short trips around Tung Chung- Shek Mun Kap area. Additionally, they cannot fill up with LPG on S. Lantau. What steps can we take to address these? Any comment or response to these? – Residents complain of having to wait for several buses (from S. Lantau to Tung Chung) even in off-peak periods before they can board. In peak periods they may have to wait an hour or more. – Is it possible to offer express buses from Tung Chung to Tai O or Ngong Ping (NLB #11 #23) at holiday peak periods, and thus separate out tourists and residents? – There is a widespread belief among Lantau residents that the blue taxi service has declined in reliability and availability in recent years? What is your view? – What steps have you taken to maximise the availability of taxis? – The number of Lantau taxi licences has not been increased in decades. Isn’t it time to put more blue taxis on the road? – In the Oriental Daily you are quoted as saying that taxi availability is only a problem for holiday periods. But Lantau residents I have spoken to believe it is a problem every day of the week, and that it is most certainly worse than four or five years ago. Do you have any specific figures on Lantau taxi passenger numbers since 2008? – In an incident just before Christmas which has become well-known, a Mui Wo resident called every day for a week trying to organise six taxis to take a wedding party to the airport. In the end he and his group had to take a bus. How could this have happened? If in future another customer is in a situation like this, what should he/she do?